In the role of COO, Fendrick will assume responsibility for the operations, marketing and services organizations for both KOBELCO excavators and KOBELCO cranes. Fendrick will direct the company’s finance and administrative functions and ensure operational excellence throughout. KOBELCO Construction Machinery USA has announced the appointment of Jack Fendrick as Chief Operating Officer/Vice President over both its Excavator and Crane Divisions. Although new to his titles, Fendrick is very familiar with the KOBELCO brand. 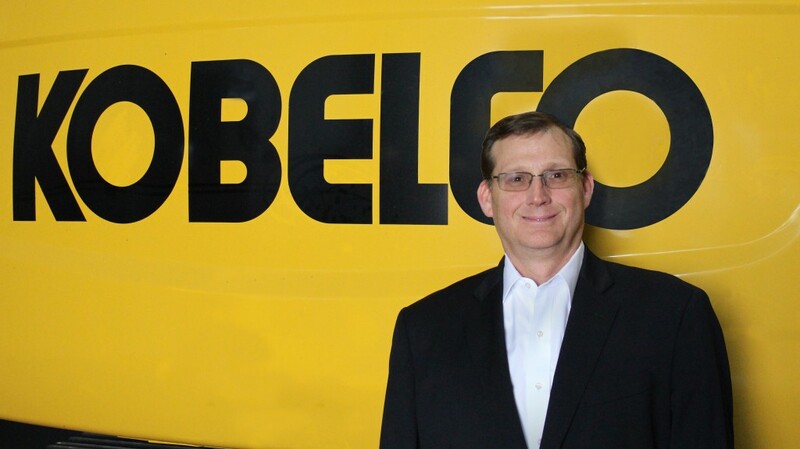 He has held several positions at KOBELCO USA since joining the company in 1996 and is experienced in both the excavator and crane businesses. Most recently, Fendrick served as Vice President of the Crane Division at KOBELCO USA, where his team achieved great success and growth of KOBELCO Cranes in the North America market. In the role of COO, Fendrick will assume responsibility for the operations, marketing and services organizations for both KOBELCO excavators and KOBELCO cranes. Fendrick will direct the company's finance and administrative functions and ensure operational excellence throughout. Fendrick will also take over the role of Vice President - Excavator Division and lead the division's day to day efforts toward building an organization that is focused on providing support for our customers and their needs. "Jack has been the head of KOBELCO Cranes North America for 16 years," says Nate Suzuki, President and CEO at KOBELCO USA. "He brings valuable leadership to the executive team and is very knowledgeable and passionate about the industry. We are confident Jack will succeed in boosting the foundation of the North American excavator business." "2019 will be a year of great opportunity for KOBELCO USA," says Fendrick. "We are a strong company that is known as the excavator authority, and we have seasoned employees who are experts in their field. I look forward to building upon this great foundation and working with the KOBELCO dealers to expand our mutual business." KOBELCO Construction Machinery USA offers crawler excavators in the 3,000 lb. to 245,000 lb. classes including zero tail swing, compact, standard, long-reach, mass excavation, and demolition models. Well-known as the excavator authority, KOBELCO is committed to producing quality machines with advanced productivity-boosting features and innovative technologies. With premier capabilities such as no time limit power boost and exclusive independent travel, KOBELCO machines ensure superior performance and efficiency for the toughest worksite challenges.